Housing and pusher made of stainless steel. Knife holder made of cast aluminum, tempered stainless steel blades. 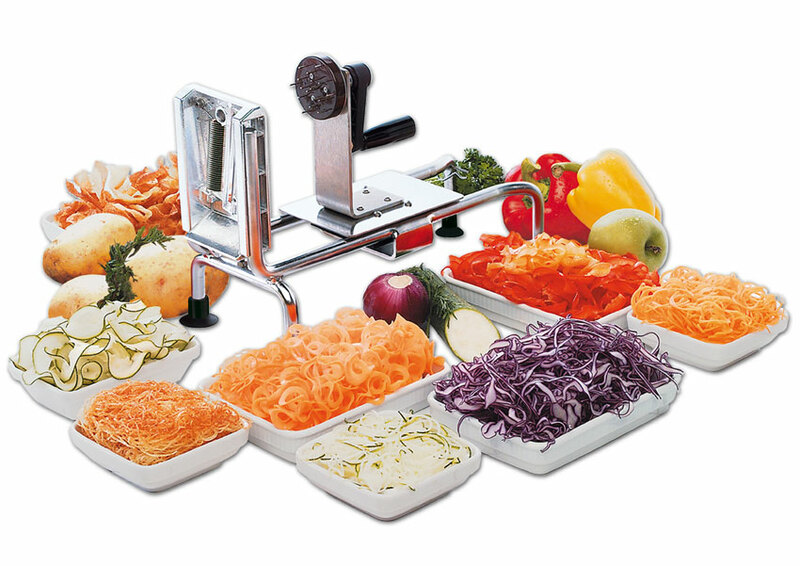 Enables cutting strings of vegetables, to weave decorative mats, make coleslaw or other vegetable salads. Comes with a set of 3 blades, 5/64”, 1/8” and 1/4”. Clamp axle, straight and fluted blade.